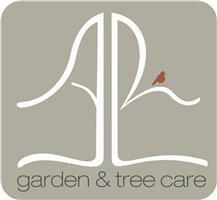 A R Garden Tree Care - Fencing/Gates, Garden Services, Tree Surgeon based in Pulborough, West Sussex. AR Garden Treecare has been established for nearly 7 years now, it is a family run business. Personally I have qualifications in Arboriculture, RFS Cert Arb. which is widely recognised throughout the Arboriculture industry, as well as practicing treework I am qualified to carry out tree reports, any employees that I have are always trained or qualified to an appropriate level to carry out the work. The services I provide are Tree work, hedge cutting, landscaping, fencing and grass cutting, I have equipment suitable for large grassed areas, paddocks, recreation grounds, large lawned areas. All aspects of garden care covered. I pride myself in having a professional approach to my work and I like to think that the business growth over the last few years is a result of my consistent high standards and reliability. My clients feedback is probably the best advert for my services.